I’ve been spending a lot of time outside lately, mostly because the weather is so beautiful. The lemon tree is now trimmed, and the flowering trees are in full bloom. I’ve even planted rainbow chard and chives. Grandmom would be proud. 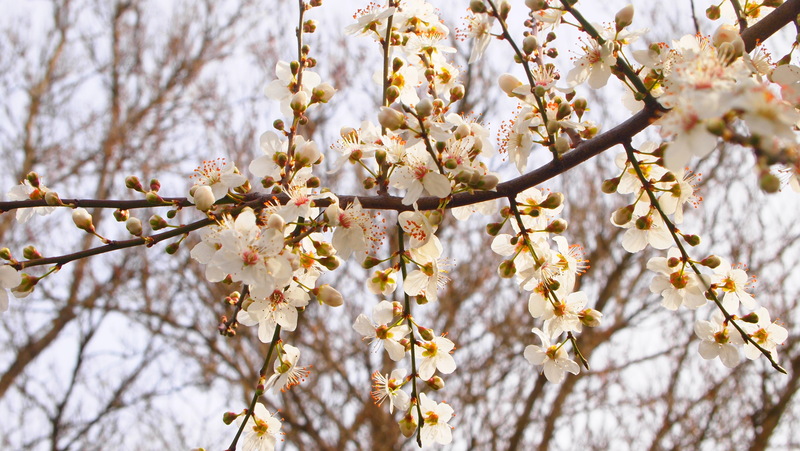 These are a few shots I took of the white flowering tree (no idea what it’s called, so any input would be great!) 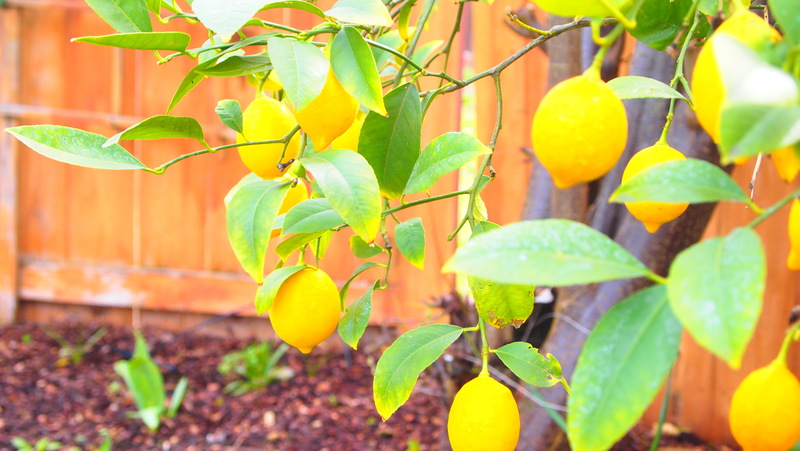 and the lemon tree, which are right next to each other. They can also both be seen from our room upstairs, which makes for a beautiful site when I wake up in the morning. Add the Sonoma Mountain backdrop, and we’re California living! 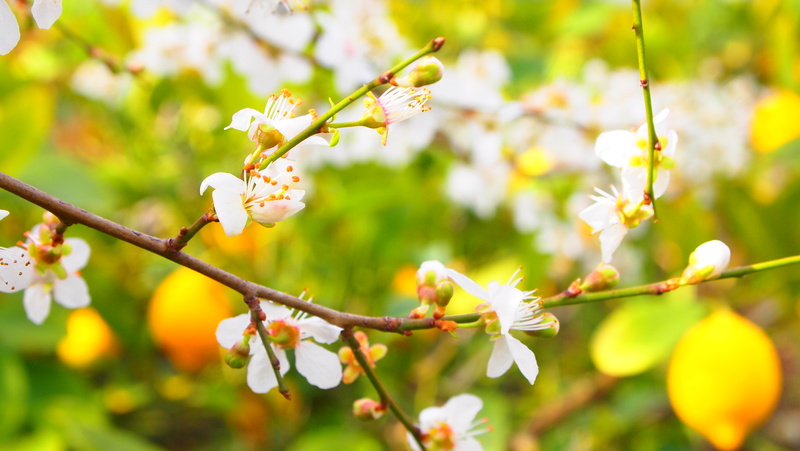 This entry was posted in Photography and tagged garden, Lemon Tree, Olympus E-PL1, Photography, Spring, White Flowering Tree. Bookmark the permalink. What an exciting place in which to live. I do enjoy the flora and fauna of a warmer climate. Yes, Grandmom would be very proud. So is Aunt Sherry.